It’s the literal definition of a blockbuster battle! DC’s two upcoming big screen heroes are the focus of this week’s movie-sized match. Mike Kalinowski returns to champion Aquaman, while his fellow DC Movie News host, Roxy Striar, goes to bat for Billy Batson. Will we find ourselves “marveling” at Shazam’s victory? 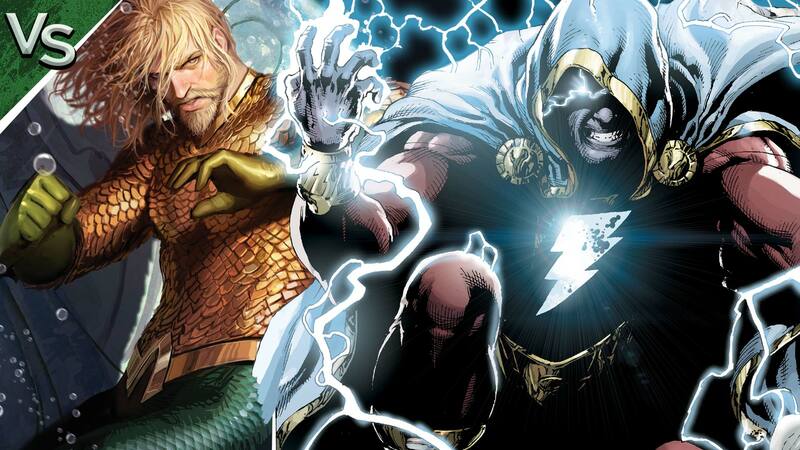 Or will Aquaman remind us all of the power of the seas? Remember, this one can change with a word (or a couple of votes), so watch the debate and then let us know who you think would win in the poll below. Don’t forget to watch till the end for the results of last week’s battle between Catwoman and Green Arrow! Voting results will be tallied at 9:59 a.m. PST on Thursday, July 19th. To make sure they’re counted, get your votes in prior to then!